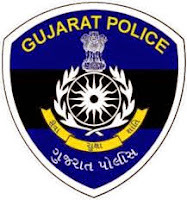 Gujarat Police Bharati recruitment board is going to announce a recruitment notification to recruit 4150 PSI, ASI, and Police Constable Posts. The Police Bharati nitrification will be released very soon. Who wantbecome a police they should start the preparation now. Here I am sharing about upcoming Police Recruitment notification details. You can check relate to Assistant Sub Inspector(Unarmed) Class III, Police Constable (Armed Branch) Class III , Police Constable Class III level Cadre Posts(Combined Competitive Examination for Direct Recruitment), Police Constable Unarmed Class III , Police Sub Inspector Class III level Cadres Posts(Combined Competitive Examinations for Direct Recruitment, Police Sub Inspector(Unarmed) Class III Recruitment , Assistant Sub Inspector Class III(Competitive Examination for Direct Recruitment), Gujarat Police Sub-Inspector (Unarmed Branch) Special Competitive Examination (Amendment) , 33 Percentage Reservation for Women/Female Candidates in Police Direct Recruitment.